Industrial Modern design is taking hold in loft apartments, commercial spaces, reclaimed industrial buildings converted into homes, and even modern residential design. The style emphasizes raw edges and an unfinished look, yet still achieves a cohesive feel more chic than shabby. Key to modern industrial design is the pairing of wood and metal. 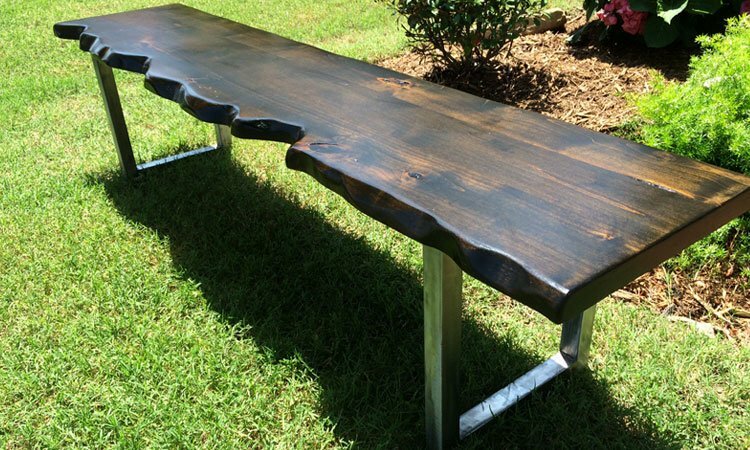 Metal is cool, hard, and industrial, while wood is warm, organic, and traditional. Combined, they perfectly embody industrial style’s merging of a warehouse look with earthy and/or polished materials for a truly modern design. 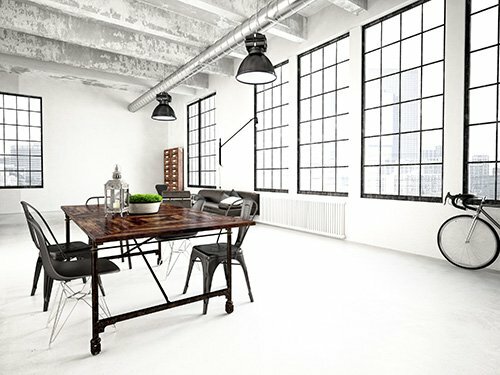 Industrial modern style starts with the bare bones of your space. Often, rooms in this style will have wood beams and metal pipe work visible on the ceilings, exposed brick on the walls, and industrial floor tiles. It’s often a stripped-down, minimalistic style. 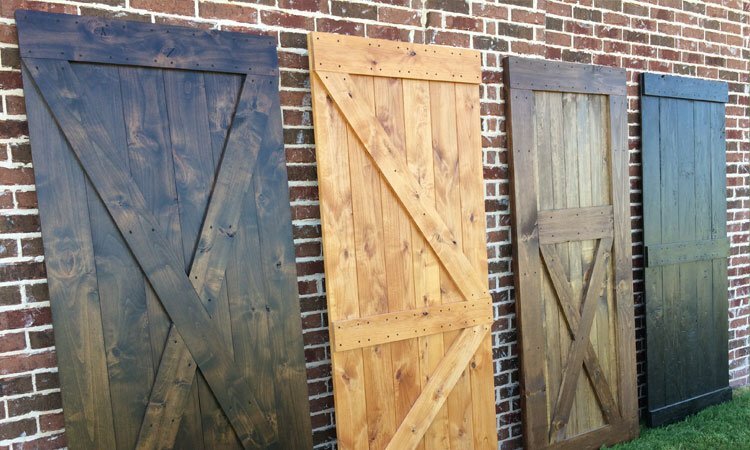 One type of industrial design known as rustic industrial incorporates more wood. This is the kind of interior design where you’re likely to see rustic wood cabinets in the kitchen paired with modern metal counters and appliances. The trend can carry over into other rooms as well – wood desks with metal legs in the study, barn doors hung on industrial metal tracks in place of swing-doors, and wood floors paired with metal bedsteads in the bedroom. 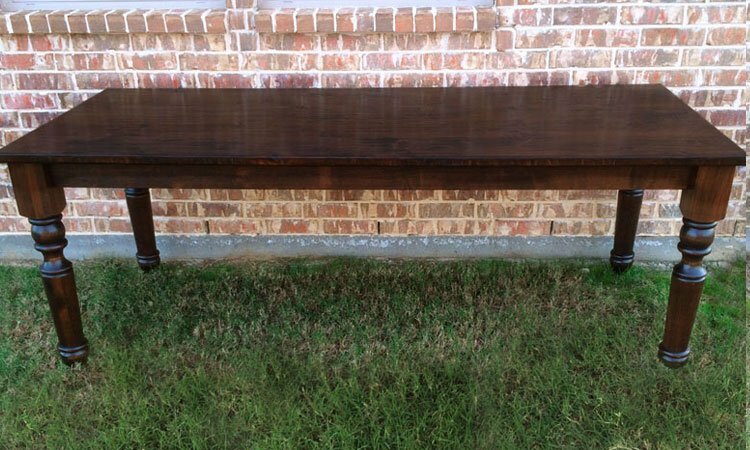 In our Industrial Collection, Rustic + Modern merges metal pipes with solid wood furniture. These furniture pieces look right at home in industrial modern design. 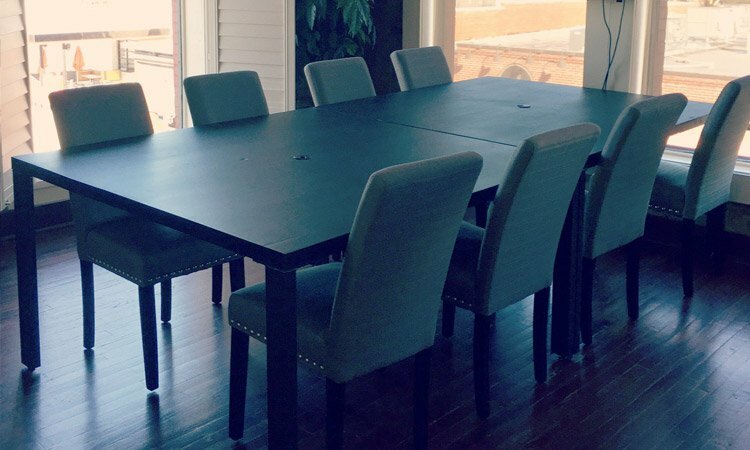 Whether you need a dining table or a study desk, they’re the perfect choice for function and aesthetics. Like all our furniture, the Industrial Collection is built to last with quality materials and careful attention to detail. The Industrial Pipe Tables and Desks in our collection feature solid-wood tops and unique metal pipe bases. 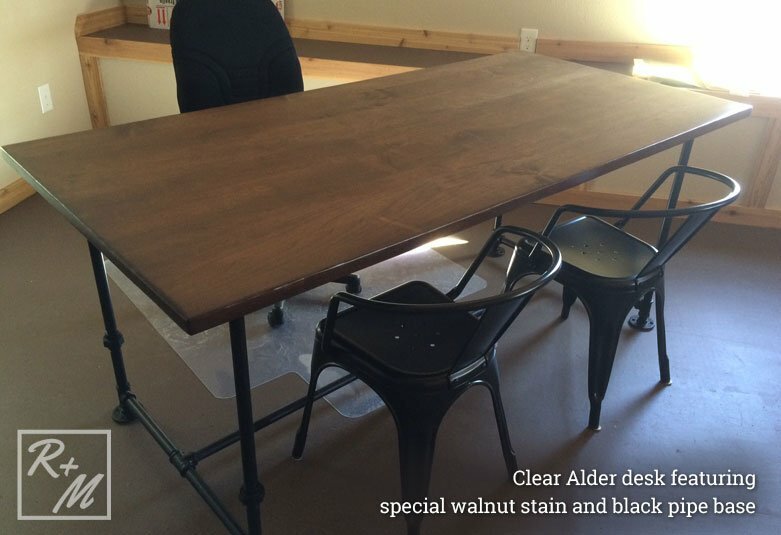 If you like the look of more wood, our Industrial Farmhouse Tables connect wood tables tops with wood legs using metal pipe components. 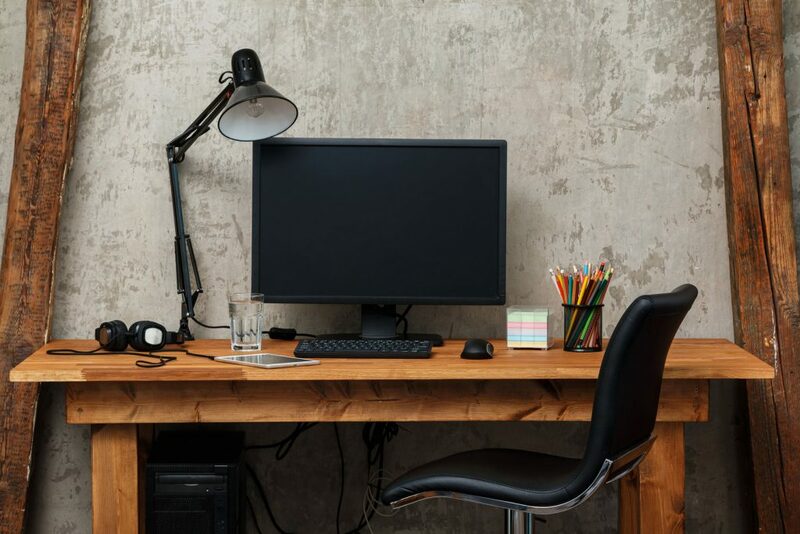 When customizing these tables and desks, you choose the wood type, style of metal pipe base, and the finish for both wood and metal components. Industrial modern design is often minimalistic. When you’re limiting the number of decorations in a room, it pays to invest in unique items that truly enhance the design aesthetic. 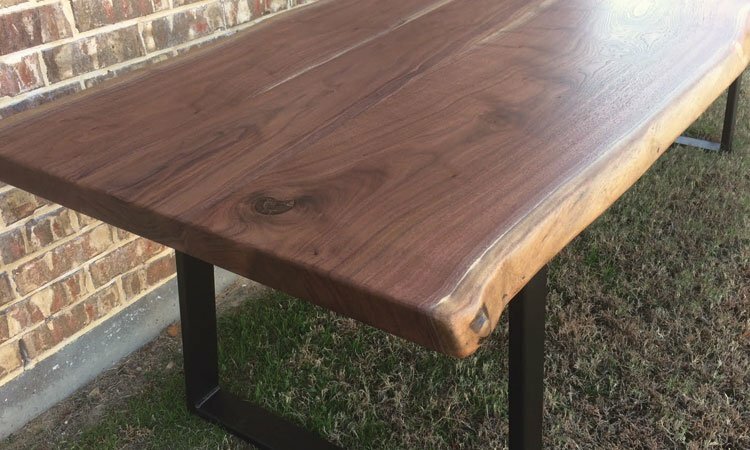 Live-edge tables are an eye-catching, yet functional, furniture piece that incorporates the raw, organic look we’re often going for in industrial design. 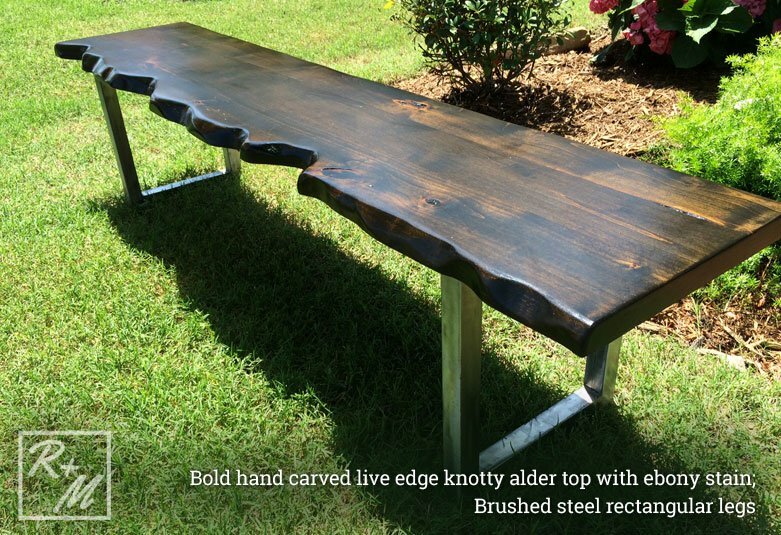 Rustic + Modern offers live-edge tables as part of our Modern Collection. These wood and steel tables feature a solid-wood table top and stylish metal legs. 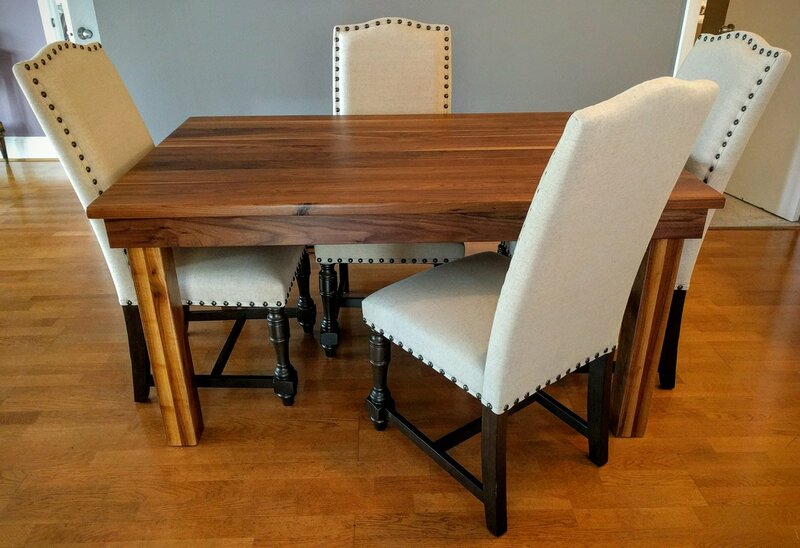 In this collection, you can get hand carved live-edge tables or more traditional rectangular table tops in several types of wood. The metal bases also come in several styles, including A-frame, rectangular, and X-frame. The wide range of customization options ensures you’ll get what you need to fit the exact look you’re going for in your own spin on industrial modern design.